Welcome to Lindy J Quilts! We believe you can create stunning quilts with simple blocks + have a fun along the way! We offer finished quilts, quilt patterns + quilting tutorials. Join our growing community to receive quilting tips, patterns + sewing inspiration! Yay! 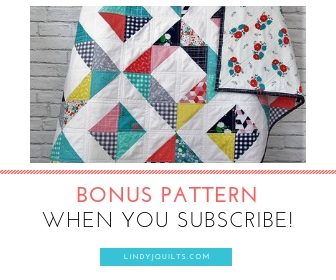 Now check your email to confirm your subscription and instantly download your free and easy quilted envelope pillowcase pattern!